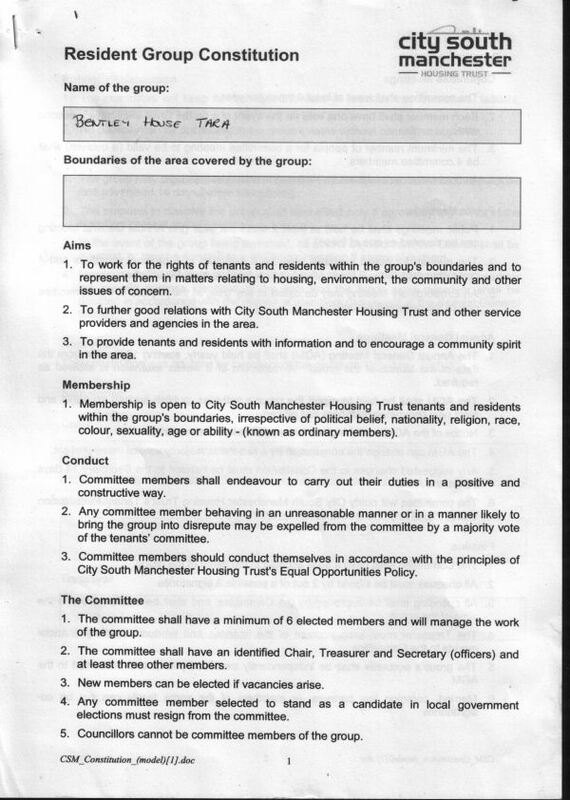 Here is our – the Bentley House estate Tenants And Residents Association (TARA) – constitution. 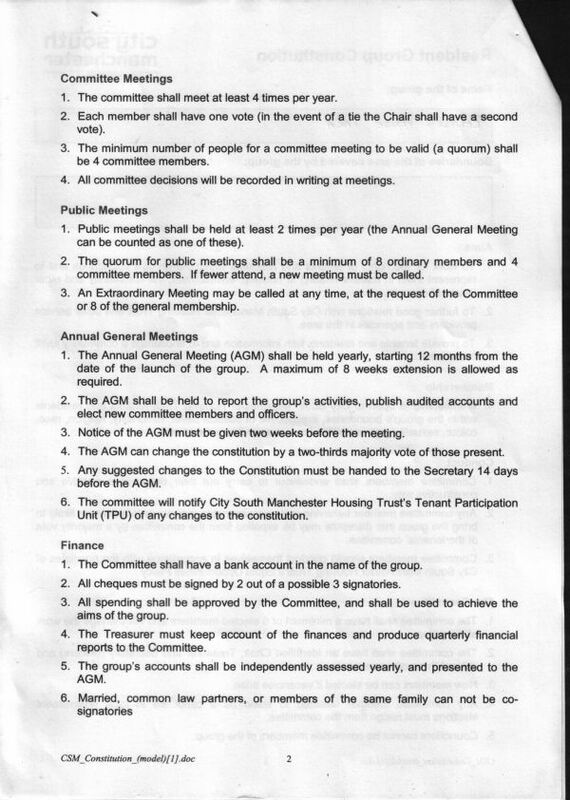 As of September 2016, it is a standard constitution as suggested by our landlord City South Manchester Housing (CSM), signed again every year by the fresh committee as elected at our Annual General Meeting (AGM). We would like to see some small changes that we will present to the 2017 Annual General Meeting (AGM) for decision. The proposals for this have been published below for inspection and consultation. All comments, criticism, approval to tara@redbricks.org, or go here for other ways, please. Here are three page scans of our constitution – underneath you find links to open the pages in another tab or window. You will need to refer to these for the proposals below to make sense. External links: page 1 of 3, page 2 of 3, page 3 of 3. Here are the proposed changes in detail. You will want to look at the originals for reference. 2. “(officers)” – term is tainted with militarism; change to “officials” or “elected”? As in ‘official members’ or ‘elected members’ are distinguished from ‘ordinary members’. 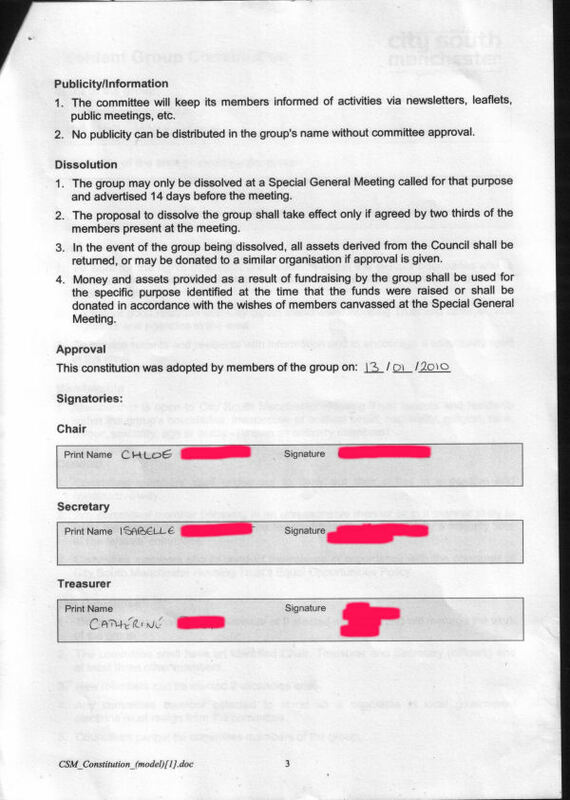 Again used under “AGM”, point 2. 3. from: New … elected __if vacancies arise__. to: New … elected __at any time__?? or … after having attended one monthly meeting?? 2. (… tie … Chair … second vote) – would like to see at least another democratic step (ask the audience, phone a friend) before going for “has a second vote”. Re-negotiate and re-vote, or such. Much more democratic. 3. “AGM” extent “two weeks” to (three or) four weeks?? – similarly “Dissolution”, point 1. There are over 250 households here, that’s a lot of people that need advance warning time. 6. introduce: ” or members of the same co-operative” – this is relevant in our situation. Two additions i would like to see – the need to record all business in writing (as discussed previously at meetings), and the _requirement_ to have publicly available all non-confidential business the committee conducts (with a limitation that confidentiality can only be requested by third-party i.e. 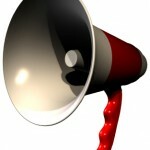 committee does not initiate its own secrecy); i.e. add 6. All committee business shall be recorded in writing. add 7. All committee business shall be available in writing, as soon as reasonably possible, in a public place (e.g. estate office, website) for inspection and comment by estate residents with the exception of sensitive (e.g., name, address, phone number, email, photo) and confidential data (e.g., data protection). need to prep for this. Are there other changes you would like to see / think could help / advance us?